Electric car maker Tesla has reported net income of $21.9m (£17.9m) for the third quarter after 13 consecutive quarterly losses. This compared with a loss of $230m a year earlier. 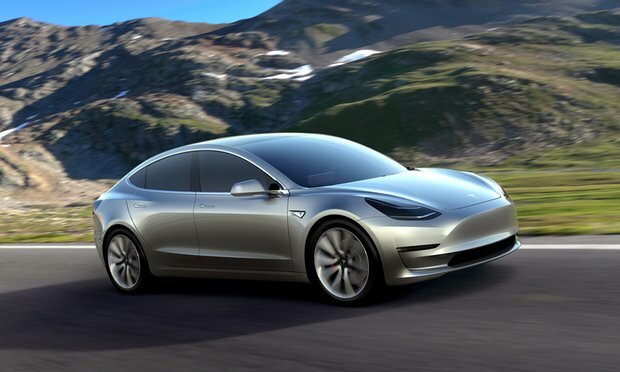 Record deliveries helped to offset rising expenses for next year’s roll-out of the company’s mass-market Model 3 saloon car. Tesla delivered a record 24,821 cars during the quarter, more than 300 more than estimated. Shares in the electric car maker jumped 3.76% in after-hours trading. “The Tesla third quarter results reflect strong company-wide execution in many areas,” said chief executive Elon Musk and chief financial officer Jason Wheeler in a statement. Tesla, which went public in 2010, had not made a net quarterly profit since the first quarter of 2013. In the previous two quarters it had missed production targets. The firm is counting on the Model 3 to help it meet its 2018 goal of producing 500,000 cars annually. The Model 3 is Tesla’s attempt to widen its market appeal with a more affordable car. Its starting price is expected to be $35,000. In its third quarter results Tesla did not provide an update on its planned $2.6bn acquisition of solar panel maker SolarCity. Mr Musk, who is SolarCity’s chairman and main shareholder, has said he plans to provide more financial details on the deal on 1 November before a vote by shareholders of both companies on 17 November.